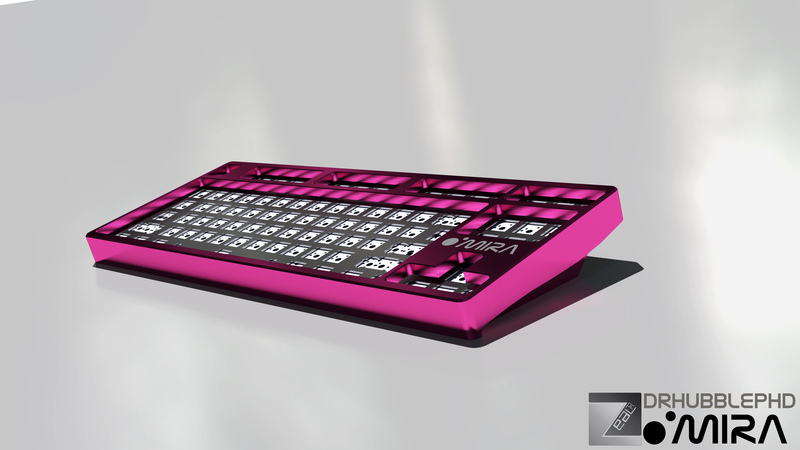 An astronomy-inspired keyboard design, named after the Mira binary star system (also known as Omicron Ceti or "o Ceti".) 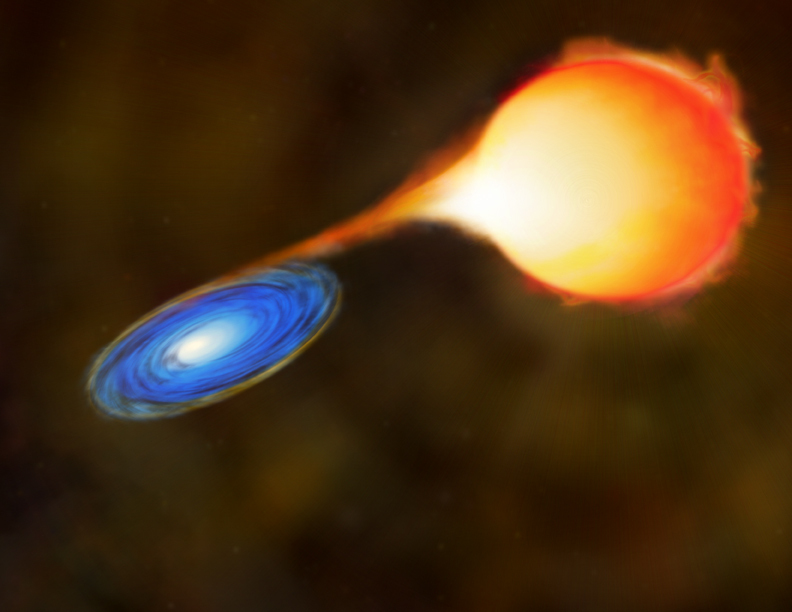 The MIRA logo shows two stars orbiting each other: a red giant and a white dwarf. The font of the logo is inspired by that of an older NASA insignia. 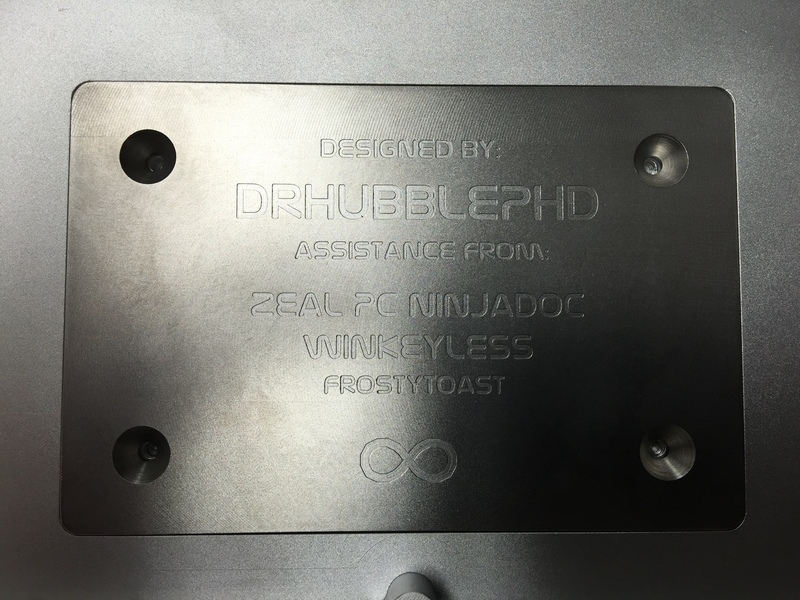 Long story short, DrHubblePhD had started this IC and then ended up leaving the project. The idea was continued to be developed by those interested in seeing it to completion, and ninjadoc (who has put in a tremendous amount of work into the process!) is currently leading the project. I have permission/encouragement to give credit were credit is due - Asilan has done a lot of hard work on the Cad files at the end. We started with Hubble's files, YukTsi redid them, and then the final changes were done by Asilan and everyone's hard work is greatly appreciated. Limitz has given me endless encouragement when I've been ready to flush this down the drain and has kept me going many times when I started to say "screw it" and close the thread. 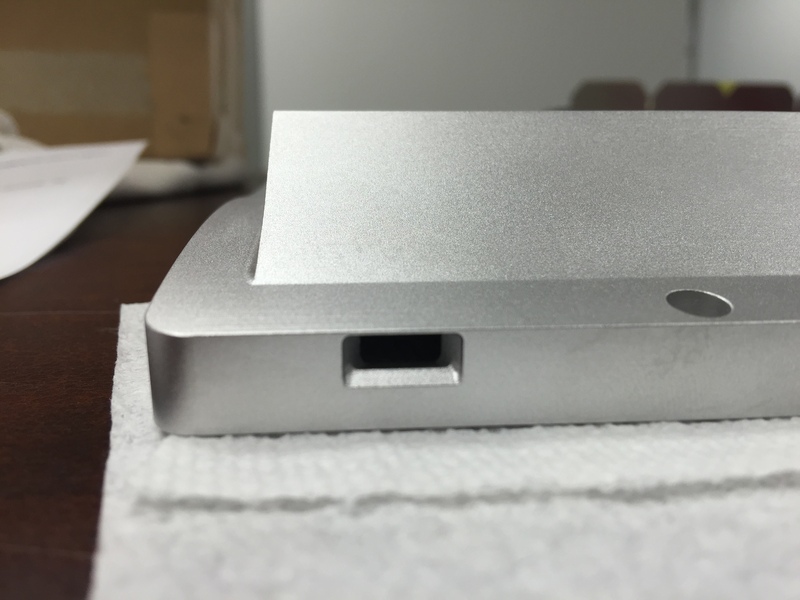 It will have the famous O’Mira above the keypad and probably SE on the back by the USB hole. The SE may or may not have a brass inlay. The plan for now is to offer it with stainless steel weights but brass may be considered but will not be nickel coated and will be subject to corrosion. I plan to offer the colors of black, silver, and grey/titanium but one or two other colors may be offered depending on the anodizing available. 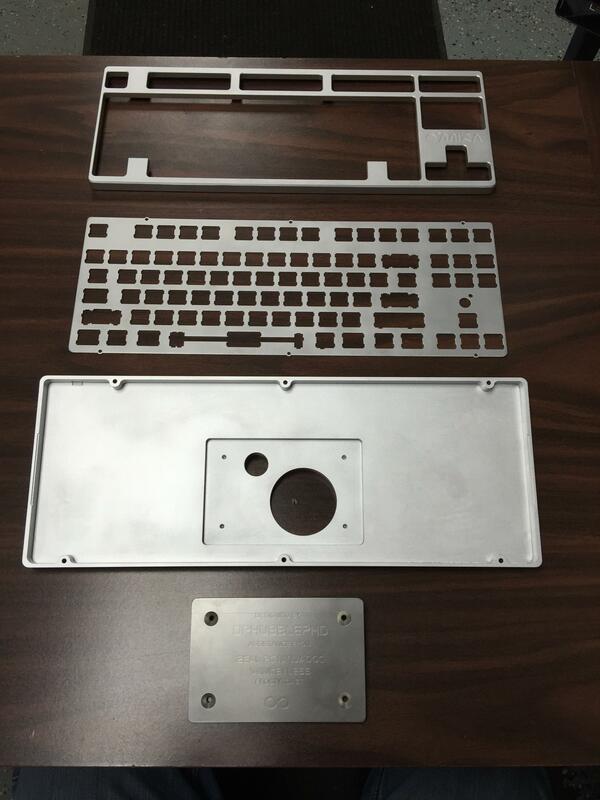 I expect to be able to offer stainless steel and aluminum plates and the aluminum plates can be anodized. 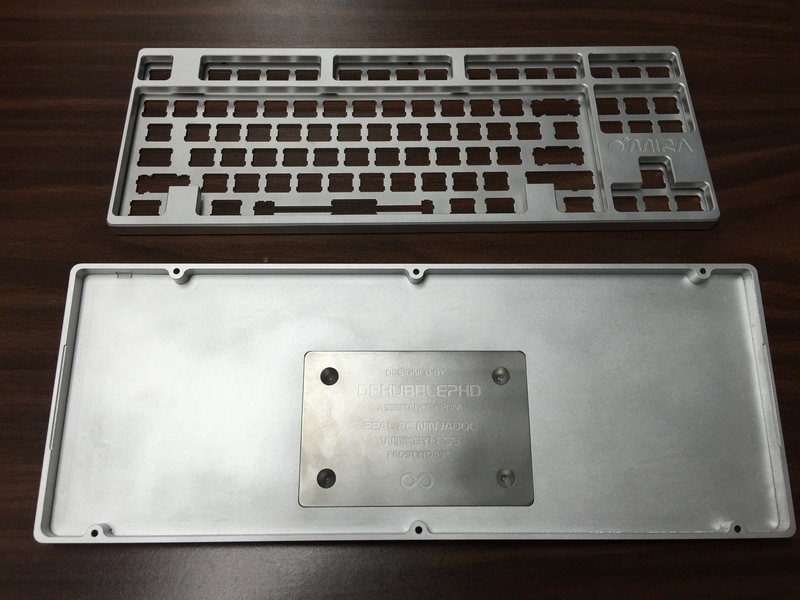 The plates do not allow switch top removal, that may change depending on time available to make that change. I will only offer Leeku boards which will be soldered except for the bottom RGB LED’s. Leeku might be able to offer those soldered for $5 a board. The plates are designed to use both Leeku’s board and the NERD. 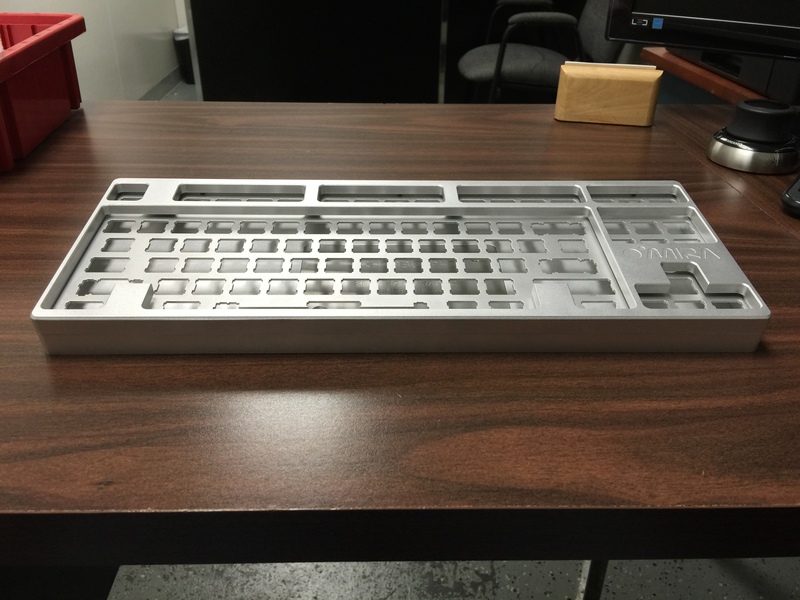 YukTsi has been working on a TKL board that should fit and Winkeyless has a TKL board that I think will fit." "Assuming everything works out and I can stay out of the hospital I want to start the group buy in January. I haven’t thought of the ordering period yet but as long as the manufacturer can handle the numbers I do not plan on capping out the amount sold. It is possible that it would have to go in two or more stages depending on the capability of myself and the manufacturer to move the product. 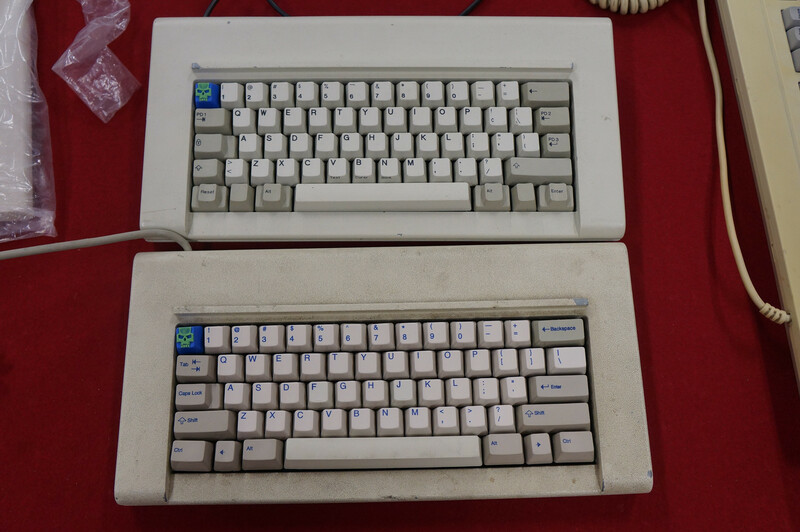 The plan is for the Mira to be boxed similar to the TX-87 and the TX-CP which should prevent damage. 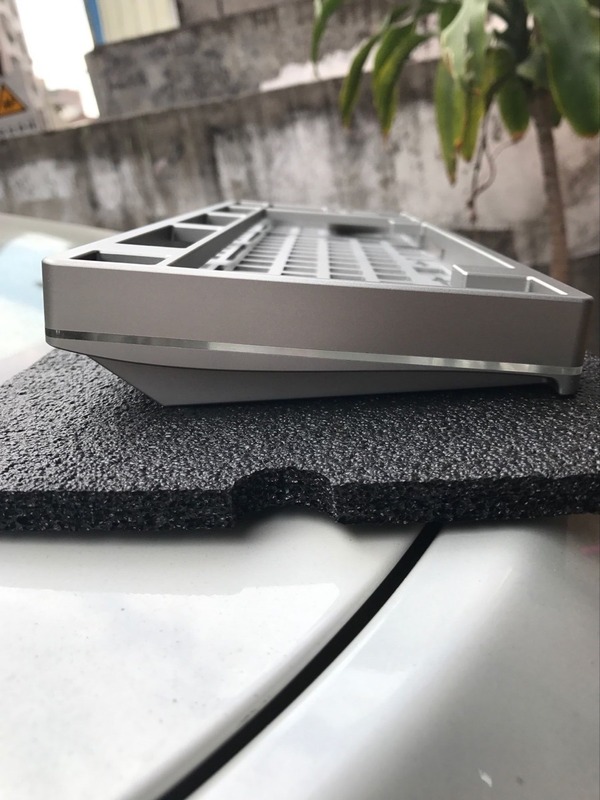 The quality control will be done at the factory and I can’t be help responsible for minor defects but anything like the damages occurred by the LZ-FE will be taken care of. 2) Payment two weeks for price of the board, shipping will be billed separately. 3) From time of payment to the manufacturer to my door should be about 12 weeks. I may try to have the boards sent directly to other countries that have several orders to a proxy to cut down cost. Canada would definitely be a country I would like to do this with. 4) Cost – has not been finalized due to all details haven’t been worked out but I would expect the cost to be between $400 - $425 + the shipping to your home. 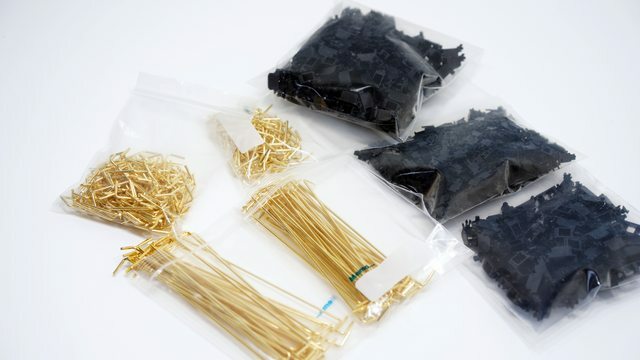 The shipping from the manufacturer will be included in the original cost and is less when shipped in bulk. " 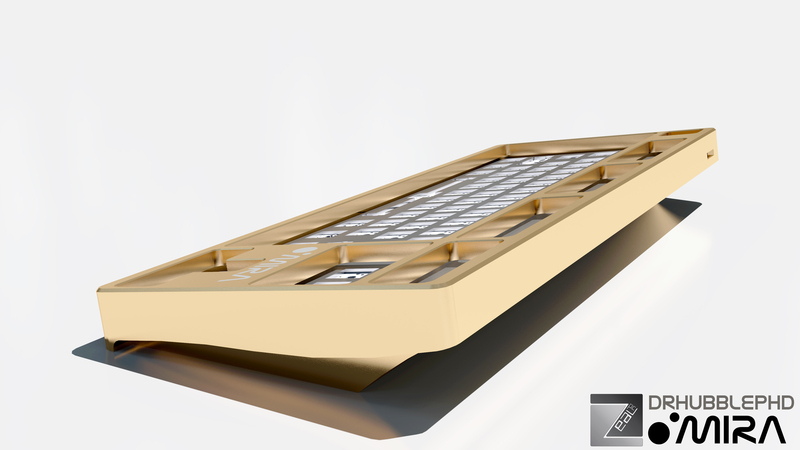 The first 57 orders* will have numbered plates and will also get transparent screw-in gold-plated stabilizers, courtesy to Zeal. - Disclaimer: *those who have put down "deposits" early on when DrHubblePhD still collected them and have secured a number, some of which have now been re-sold. Group Buy Start Date: late January. The GB will be open for about 2 weeks. "The first 57 will be numbered, the others will not. Production may have to go in waves, beginning with 57 then 60, then 60 but that is only a possibility. Items will be shipped directly from China to avoid duty fees,two shipping, and me going crazier. The estimate is around $40 - $50 but could be a little less or a little more along the Duck or TGR prices. QA - the boxes is expected to prevent damage in shipment and my understanding is boards with major damage will be replaced. Our celebration pales in comparison. I will limit the colors to 5, a cyan is available and a pink is available. The poll will be about the blue/cyan and the shade of pink. If you want your opinion to count, please vote. Black, silver, and grey are set. Thank you for your patience, unless something really goes bad this GB should occur and start within the next 7 days. Thank all of you that have helped in this project. 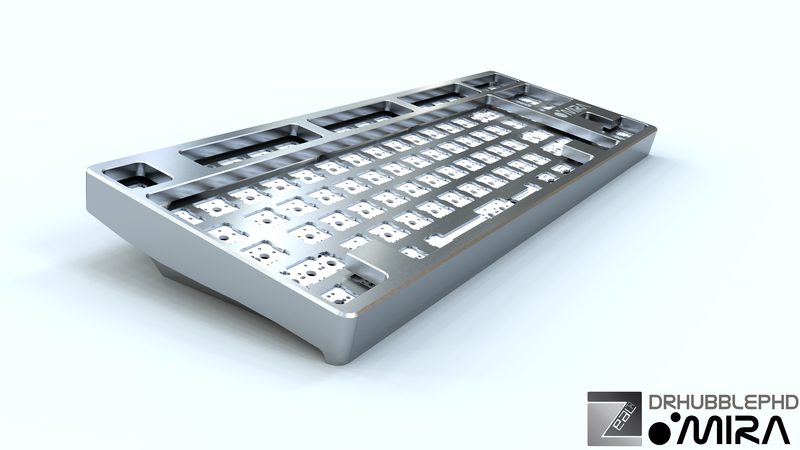 Future - keypad, design has been discuses but not started. 75% - design also has been discussed. 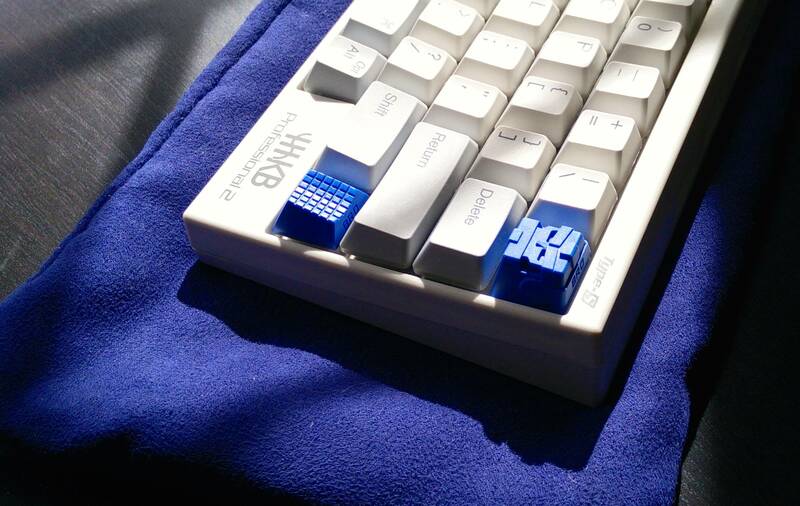 65% will be a shrinkage of the 75% and probably a few modifications and the HHKB option will be available. A Full size is possible but a poll would be done prior to that beginning. IC would be done on all of the above." Sorry about the delay - I had a family function and was delayed. These are the approximate prices, they might be lower but they certainly shouldn't be higher. That is as close to the stated goal of $400 as I can get. Thanks again for your patience with me. Original [mostly outdated] information from the initial Interest Check by DrHubblePhD. In order to produce a prototype for the Mira and secure a production run in the future we need to put money down with the CNC company we have chosen. Instead of asking for donations from a few people I think it would be better that we offer some benefits to everyone on GeekHack who chooses to help produce the Mira! The opportunity to specify which number you would like engraved on your custom center weight (more on this below). Non-pre orders will receive their number in order of purchase, i.e. no say in the matter. At 8:30pm EST on the 21st a link will be posted to a google form. This form will ask the basics such as your name, phone number, etc.. as well as your first, second, and third choices when it comes to the custom number that will be engraved on your Mira center weight (1 through 57 only). You will also be able to specify whether or not you intend on asking for assembly services when the full sale happens. Pre orders are non-refundable however there is no obligation to make the complete purchase if the full price of the board is prohibitively expensive. We expect the board to cost in the $350 to $400 range. I have worked hard to get the cost of the pre order down as low as possible so that it is a low risk investment! Mira (Omicron Ceti) is the name of a binary, variable, star system in the constellation Cetus. It consists of a red giant A star and a white dwarf companion B star. For those who aren't familiar with these terms, a binary system is a system consisting of two orbiting stars. While this may seem exotic, there is a significant percentage of star systems that consist of two or more stars. As for the term "variable," there are classes of stars existing in transition regions off the main sequence that exhibit variable behavior. That is that they have apparent brightness that change over time. Mira A is an example of a some 6-7000 known "Mira variables" named after this well known object. Its change in brightness is caused when the entire star expands and contracts on a 100+ day time scale. 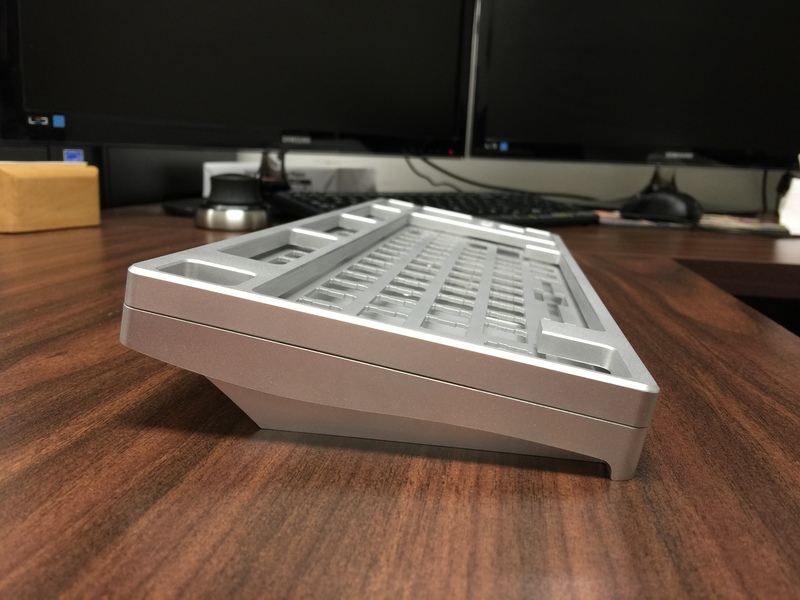 Enough science, let's talk keyboards! The board is inspired by these astronomical factoids as well as some other fun space themes. For example, the Mira logo containing two circles represents the binary relationship of the Mira system and the (not to scale) size difference between the red giant and white dwarf. 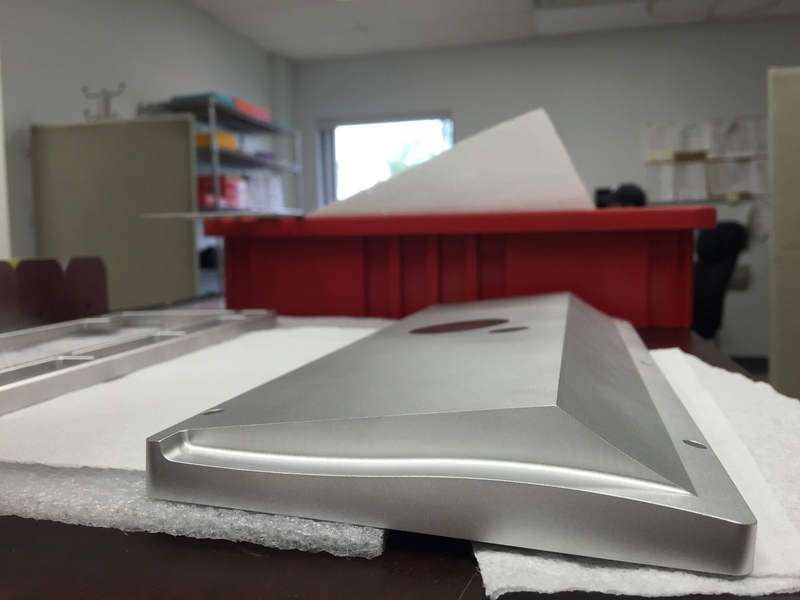 The side profile for the Mira is inspired by the NASA chevron with a clean "sweeping" curve. 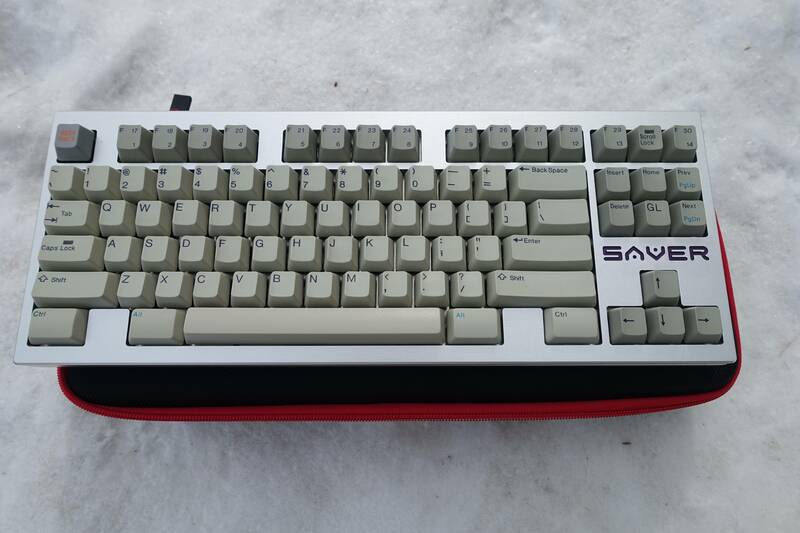 The Mira will be a limited run of 100 boards (hopefully with the unique number engraved). 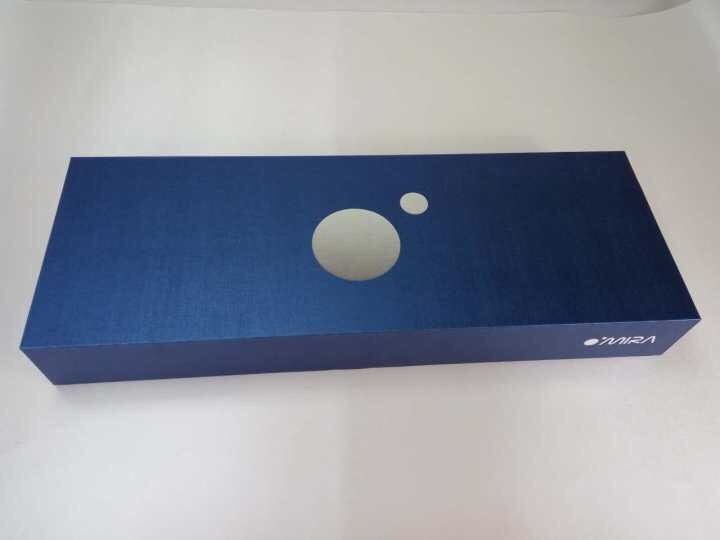 The first 57 boards that are reserved (after the number of years NASA has been operating) will come with gold stabs from ZealPC! The remaining orders will receive the same items but standard stabilizers. More from ZealPC as he unveils his secret item (https://geekhack.org/index.php?topic=69590.0) expect this awesome item to be a part of the buy as well. The number of the board will be assigned in the order they are reserved, as a result, some sort of down payment will likely be required upon ordering. Ordering will start as soon as the Group Buy is posted at a preset date and time. Since the b.Mira will only have controller parts pre-soldered, I will probably be offering diode and resistor soldering (done by myself) as an add-on in the buy. Feel free to ask any questions below! Comment if you are interested, be sure to include what colors, layouts, ect. you would like to see! Looks awesome, can't wait to see where this goes. I'd love to join this depending on when the GB starts and if I have the funds. Quite a unique case. 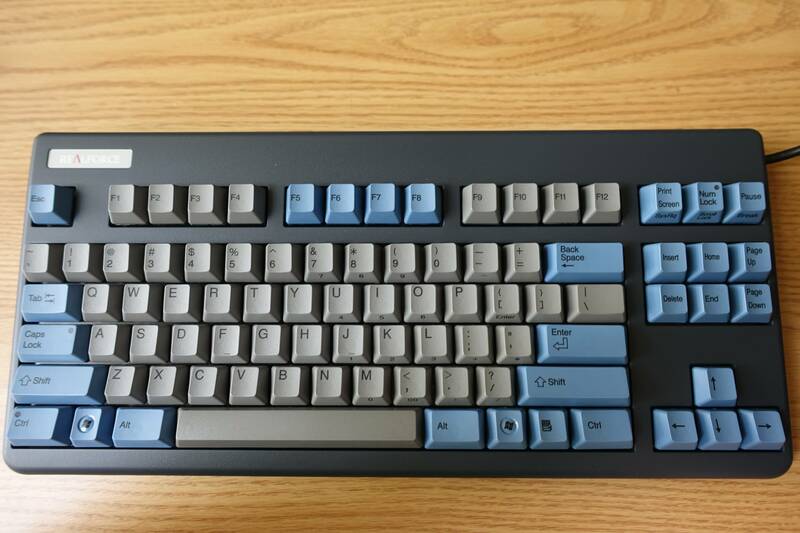 A tkl that actually has my interest. This looks great, I like it more the Orion V2 since it's less flashy. I'm interested. Interested in this. ICs for TKLs have been popping up lately, I gotta make my choice soon. Plenty of great choices for sure! I will try and align the GB so that it gives people some time to recover from the Orion if they would like to participate in it. 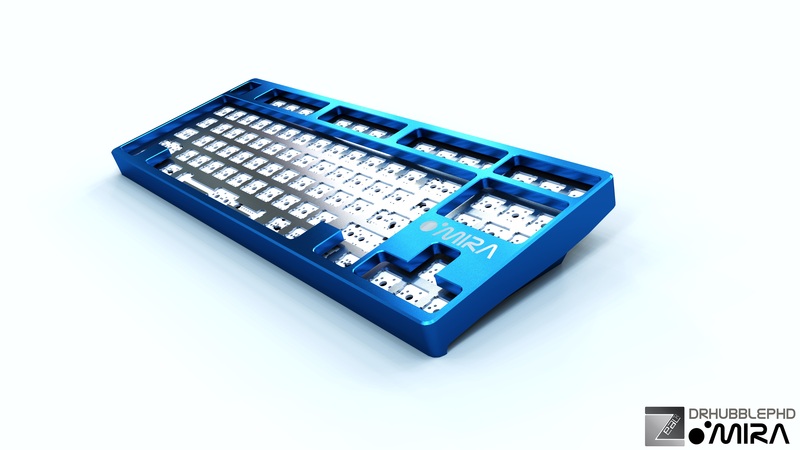 I also plan for the cost of the Mira to be under the price of the Orion, not to mention the boards will likely be shipping from the US removing a great deal of cost from the buyer. 100% interested, what colors do you think will be available? 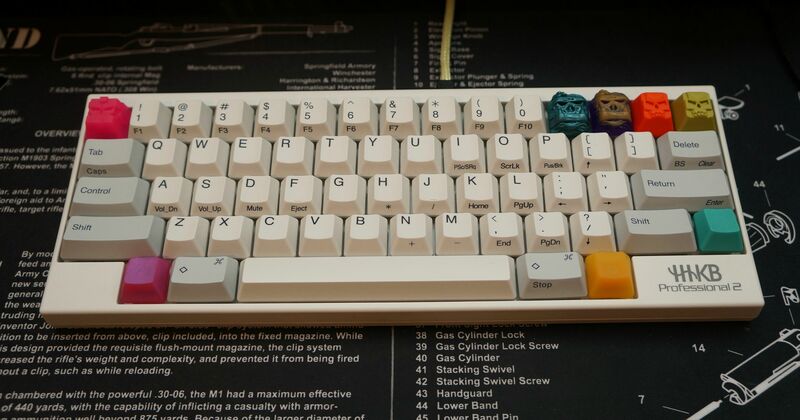 Not usually a fan of TKL, but this looks quite nice. Let's see some pink! 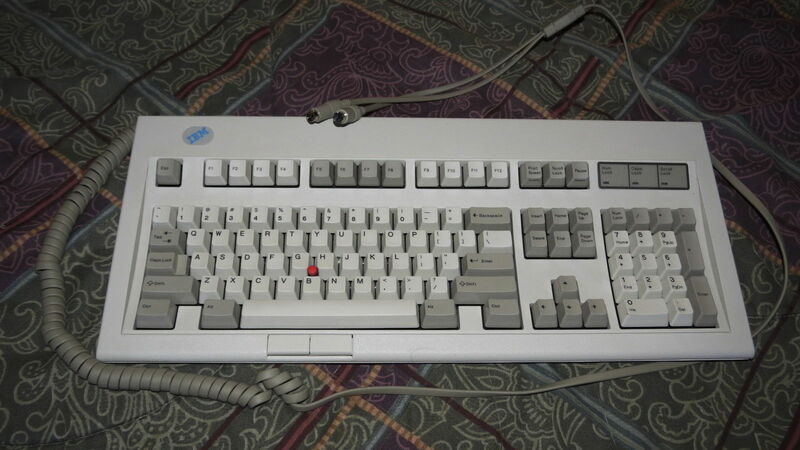 Gotta love keyboards that can be used as a +2 bludgeoning weapon. What is love.... Baby don't hurt me... No more!! I'm extremely interested! The limited run though has me concerned that I could miss out unless I stalk the forums. Wouldn't costs be lower for everyone with a larger run? Interested no matter what the price is. Talk to mistakemistake about the milling. He might give you a good price to do the work. I have spoken to him, he was not willing to commit to anything. He still might be of service to this buy however I want to make sure I have someone lined up. 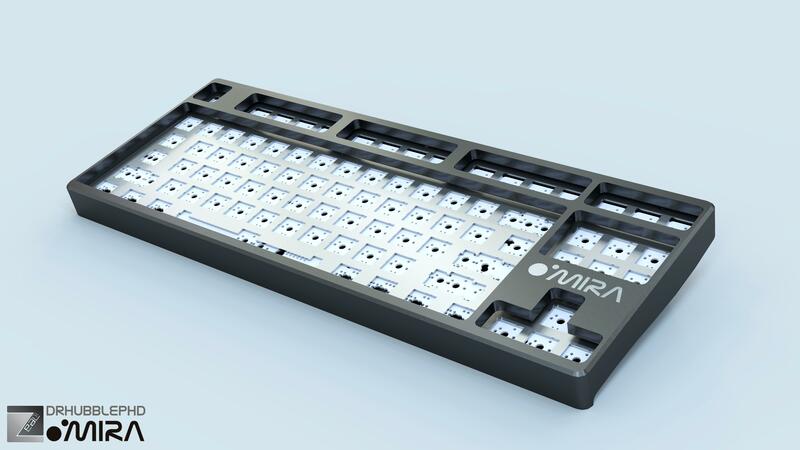 I also plan for the cost of the Mira to be under the price of the Orion, not to mention the boards will likely be shipping from the US removing a great deal of cost from the buyer. This looks incredible! Depending on my finances when this launches I will tentatively be down for one in dark grey. You're right, but the plate isnt finalized. 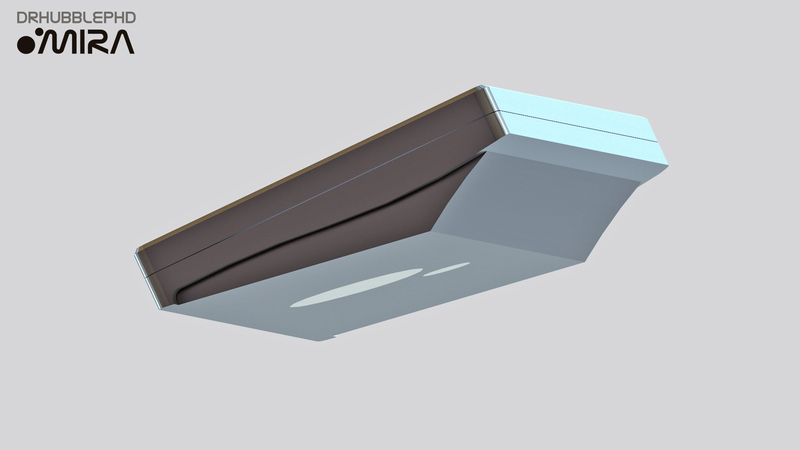 The final design will include notches for switch top removal for sure. As a modder myself I wouldn't have it any other way I will likely render a new plate as well as some blockers this weekend. Interested. Need to see some numbers. I may pass on Orion V2 for this. 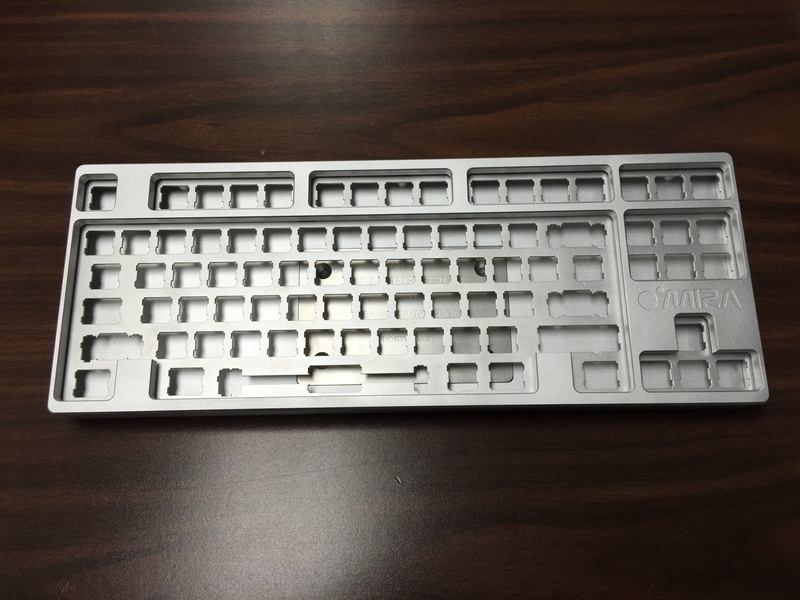 For built in blockers for 84 keys, do you mean the blockers are connected to the top part of the case? Will this uses 7075 alu or 6061 alu? 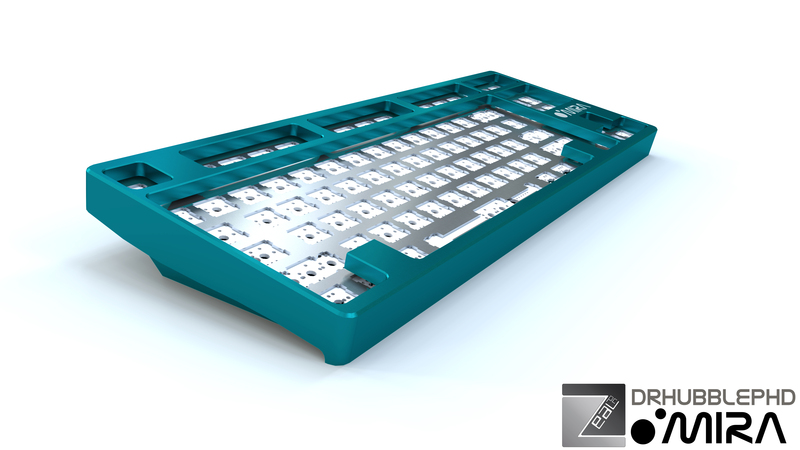 Will acrylic plate be available? 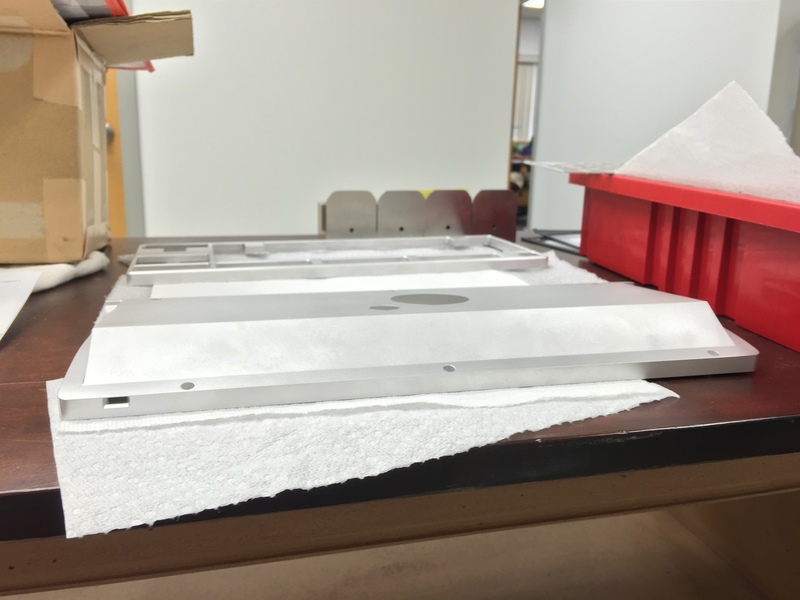 Will hard anodizing be available as an option? dont know the type of alu yet, will need to get a milling recourse straitened out first. Just to clarify everyone, the numbers will be assigned in the order that the requests are received once the GROUP BUY goes live. The only person guaranteed a number is ZealPC for his help on the project. Past projects: KBT Race 2 L.E. Definitely in for the DrHubble! You've done a great job designing the board. Looking at the renders, it looks like the PCB supports a split backspace (and also short left and right shifts). 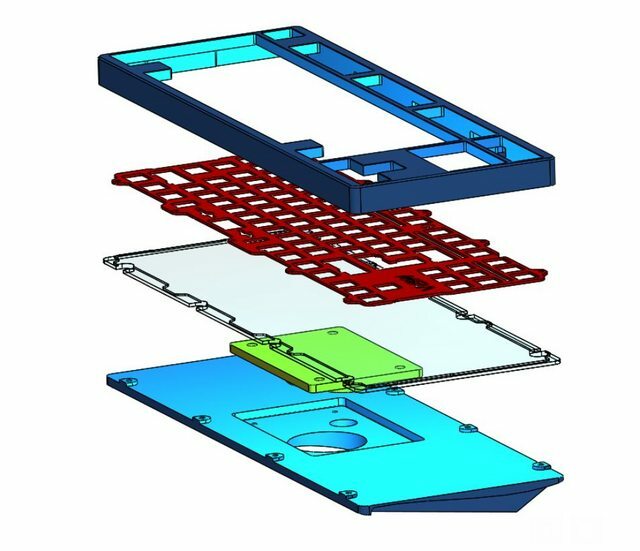 Will there be a plate option that supports this or would I need to have it PCB mounted to support this specific layout? 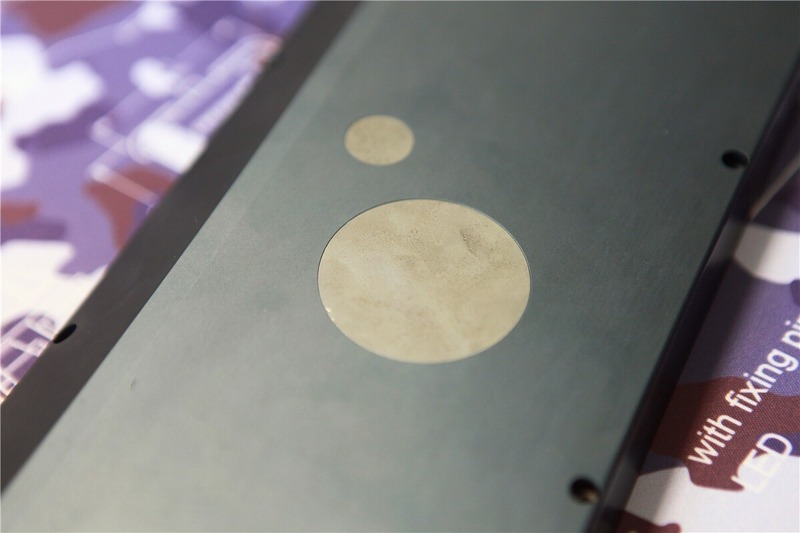 As previously mentioned I will be working on a plate that accommodates more features. Likely it will be a single plate with cutouts to support 87 and 84 layouts as well as off center/centered caplocks and short/long right shifts. This will be similar to some of LZ's plates in the regards that it is one plate that can be utilized in a variety of ways. 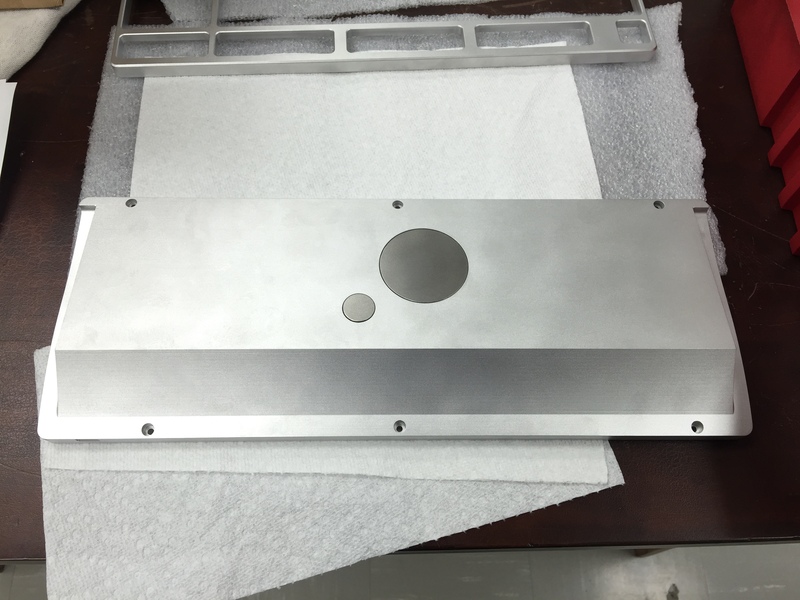 I will also most likely be working on a better mechanism for centering the plate in the case once I have a plate design finalized. Interesting. I will buy one. Summerish is so far away though! Really hoping to get one with the gold stabs. Interested. I'll just have to see if the wallet is willing when the GB comes around. So if we opt for a winkeyless version, the alu top will have the blockers built in? Also will the PCB will support a split right shift as well as a split backspace? I hope you don't mind that I posted this on Reddit, if you want me to I can delete it. Page created in 0.136 seconds with 71 queries.